The momentum of the 2019 elections are gathering storm and the Nigerian Youth appears set to do political battle with the elderly hegemonic political class who themselves appeared on the leadership saddle many decades ago but do not seem ready to allow fresh ideas and fresh blood to takeover from them. The youths are insisting on the President signing the not too young to run bill into law to provide more opportunities for young, interested and qualified Nigerians to contest for various elective postions in the the country. Not Too YoungTo Run bill is a bill that seeks to reduce the constitutional age requirement for running for elective office in Nigeria. The ultimate goal of the bill is to promote increased youth participation in the political process. The bill with gazette number HB. 544 seeks to alter the Section 65, 106, 131, 177 of the 1999 Constitution of the Federal Republic of Nigeria (as amended) to reduce the age qualification for the Office of the President from 40 years to 30 years; Governor 35 to 30, Senate 35 to 30, House of Representatives 30 to 25. Indeed youths are desirous of participating in the election processes. But is age the problem of Nigeria? Who is a youth? The UN, for statistical consistency across regions, defines ‘ youth ‘, as those persons between the ages of 15 and 24 years, without prejudice to other definitions by Member States. In Nigeria, by virtue of the national activities, we can safely say that a youth is anyone between the ages of 18 years and 30 years. 18 years is the age of adult suffrage. That is, the adult age of registering and voting. It is from this age that the not too young to vote movement coined the slogan if the youth qualifies to vote at 18 years then that same youth should quality to be voted for. The maximum age for the National Youth Service Corps(NYSC) program is 30 years. That shows that officially thirty years is the end of being a youth in Nigeria. But the strange occurrence in Nigeria is that even at fifty years, some Nigerians claim to be youths. Hence, you see very elderly persons claiming to head Youth wings of political parties. The Merriam Webster dictionary (Home and Office Edition) defines a youth as the period of life between childhood and maturity. A young man, also a young person. Youthfulness/ youthful – relating to or approximate to youth. Being young and not mature. While being young may connote virility, it may have its drawback in lack of experience and maturity. The leaders who are holding us hostage especially at the apex of the federal level appeared in leadership limelight at youthful ages. Chief Olusegun Obasanjo was 38 years old as a Lt. General when he became Head of State in 1976. Likewise President Muhammadu Buhari was 40 years old when he became Head of State in 1983. I have decided to place gentlemen Dr Yakubu Gowon who was 32 years old when he became Head of State from 1966 to 1975 at the third position because he is not hegemonic in disposition. He was there for nine solid years before he was overthrown in a palace coup d’etat. He has decided to remain in quiet retirement probably because he has seen it all. General Murtala Mohammed climbed the saddle at 37 years for a brief period of six months before he was assassinated by Lt Col Bukar Dimka. Except for General Ibrahim Babangida who was about 44 years when he assumed power as military President in 1985, most of the leaders who are old and making it difficult for younger people to run for offices were themselves young when they imposed themselves on us and have continued to do that. So age is not the problem but undue love for high political offices. Even since 1999, most of the state governors have not been old people. The House of Representatives have so many young members. The Speakers of the House of Representatives have been more of young people. The State Houses of Asssembly have generally been young people.. We have had young people as ministers at the federal level and commissioners ar state levels. We have even had a young President between 2010 and 2015.The problem is not age. As a philosopher, Dan Ingram, said age is a question of mind over matter. If you don’t mind it doesn’t matter. Age does not really matter but the quality of leadership that is brought into the office. A leader without vision has no business in leadership. That I think is what has been largely absent in our leadership structure. Beyond vision, a leader needs competence and character. The leader must possess the aura to inspire the nation to unleash their human capital for the general development of the nation.The Youth of the Nation are the trustees of posterity, according to Sybil, another good thinker. This notion was supported by a reggae musician, Burning Spear, when he sang, that a nation without its youths is like a tree without branches. That goes to emphasize the need to carry the youths along. But from the narration above have the youths not been part of the nation and her problems? It appears, it is the overzealousness of the youths in organizing the first military coup d’etat that stunted the political and economic growth of this nation. The organisers of this unfortunate misadventure were in their twenties at the time. The remnants of the military political class have not left us alone since 1966. In the process they have created a number of wasted generations (apologies to Professor Wole Soyinka) hence the continuous lamentations in the pollity. My son accuses my generation of destroying the nation and leaving little or no opportunities for them. I then explained to him that I was in my very early teenage years in 1966 when the military struck. The same people still dictating the pace so my own posterity was stunted by the same people who are still dictating who should contest for what post and should not. In my son’s lucid moment he wonders if today’s youths are not more corrupt than the older generation. He asked, is it not the youths that are class representatives (class reps) collecting bribes for lecturers? In the same vein, is it not youths that are in the uniformed security organizations collecting money on streets and highways in Nigeria? Is it not youths that are at the airports, seaports, border posts and offices collecting bribes on daily basis? Is the purpose of the not too young to run movement, to effect drastic and revolutionary changes in our polity or it is just a generational change? Where is the blueprint for the change? So many questions. There are about many young people who have shown interest in contesting for the position of President of the Federal Republic of Nigeria. To mention just a few in no particular order: Professor Kingsley Moghalu, Dr Chris Nwaokobia, Mr Victor Okhai, Mr Fela Durotoye, Mr Adama Garba, Mr Ahmed Buhari, Mr Chris Emejuru, Mr Omike Chikeluba Lewis, Mr Mathias Tsado and Omoyele Sowore. What type of politics are these young men ready to play? In a monetised environment like ours, can they change the psyche of this generation to vote for issue based politicians? Or are they loaded enough with deep pockets to do battle with the entrenched politicians, money for money and intrigues for intrigues? These are matters that will unfold in the electioneering campaigns and should be addressed. If they are going for issues based campaigns, then the issues must be enunciated properly and clearly to the understanding and conviction of the electorates. The earlier the better. We can align with the emerging world trend where younger men are mounting the political saddle of nations. Sabastian Kurz who at the age 31 years emerged the Chancellor of Austria is the youngest world leader today. Sebastian Kurz was Austria’s minister for Europe, integration and foreign affairs. He has been compared to 39-year-old French President Emmanuel Macron and 45-year-old Canadian Prime Minister Justin Trudeau, who has been the Leader of the Liberal Party since 2013. These are two fresh-faces in world political arena with large international followership. We also need fresh faces in our political environment too. We are tired of old worn out faces with old ways that are leading us no where. However, these men, though young, paid their dues by working consistently for their parties. Their emerging was not a fluke but persistent hard work coupled with planning. Macron was once a minister in the administration of previous president François Hollande. The not too young to run moment must therefore be prepared to work for the prize. They may not produce the President in 2019 but if they are united and form a formidable coalition they can negotiate themselves into vantage position to clinch the prize the next time around. But with extraordinary organisation clinching the coveted leadership prize by the youth even 2019 is not impossible. After all, ours is a miracle believing nation. However, it may be necesssry to work with the experienced hands if need be. The youths must not insist, as some are doing now, that everybody above sixty years should be excluded from the 2019 political process. We need the knowledge of the experienced and agility and virility of the youths to move the nation forward. This is not discouraging anyone but being pragmatic and setting the attitude for success in politics. The movement should be well managed so that it does not end as a flame that is extinguished once the heat is off. The movement should be ready for a long match to success. 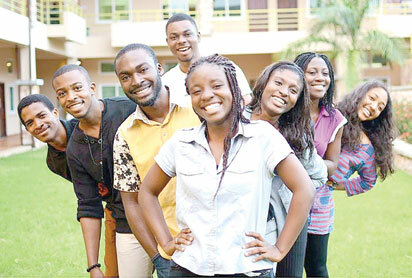 The post 2019: Nigerian youths and the long march to success appeared first on Vanguard News.